Sony has been busy padding their new machine's game library with some really great previously released titles. If you missed the magic first time around, or are looking at reliving the memories with friends, all of the three player goodness of Trine 2 is coming to the Playstation 4 in Trine 2: Complete Story. The puzzle/action/platformer game is getting a new paint job, but it's not so much a remake or sequel as a version of the game with higher specs. The package contains the original game, the Goblin Menace DLC, and the secret Dwarven Caverns level as well. 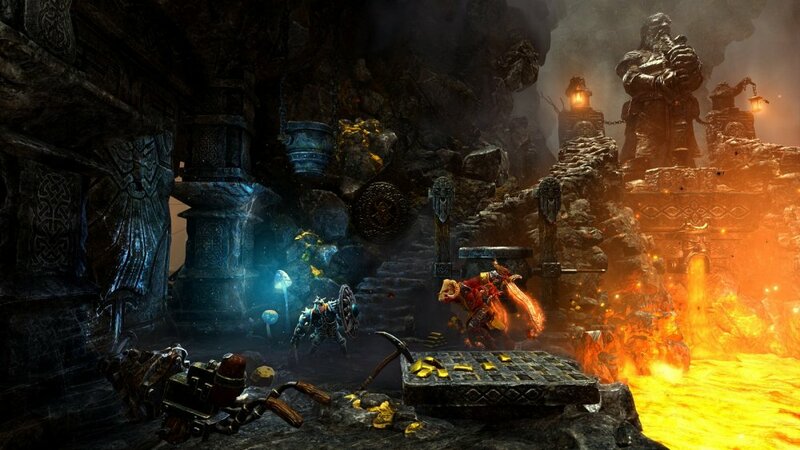 Trine 2: Complete Story will run at 1080p while maintaining a sizzling 60 frames per second. Those specs alone warrant a look of a game with such shockingly enchanting graphics. Those giant glowing purple mushrooms will look more fantastic than ever before. Of course, pretty much everything in this game can be labeled as "giant, glowing, and purple." Magic is doled out pretty fast and loose in the world of Trine. The Complete Story supports stereoscopic 3d for those with capable televisions. 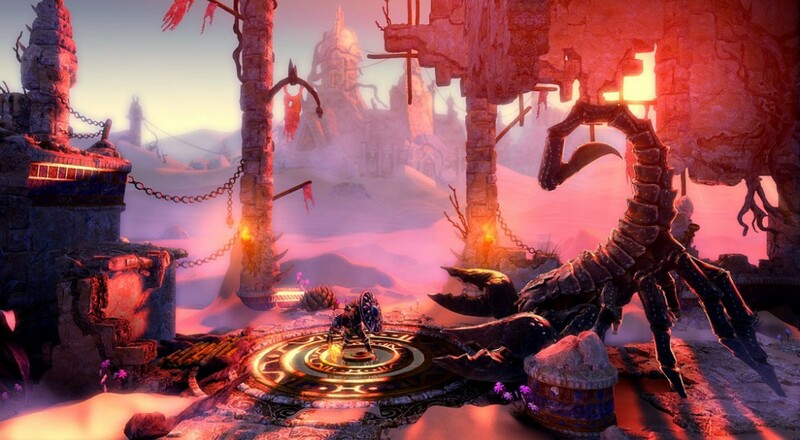 Trine 2 is a visual treat from beginning to end. The richly colorful world was one of my favorite of this generation, and the gameplay has a great deal of merit as well. Coordinating puzzles by using the different characters' skills is fun, though you run into situations where you need the wizard to form boxes, but he's currently being chewed on by a gigantic spider. The PS4 should be a good home for a new version of a great game. Page created in 0.2582 seconds.